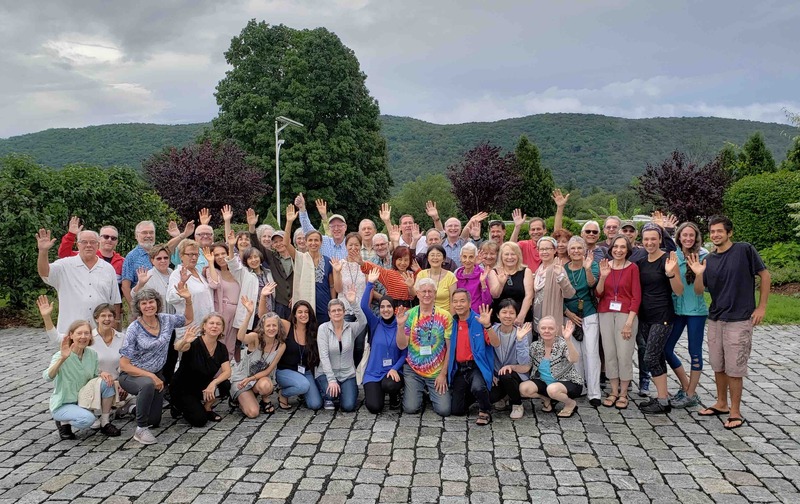 The theme of the 2019 Macrobiotic Summer Conference is “Celebrating Planetary Food with Our Celebrity Chefs. 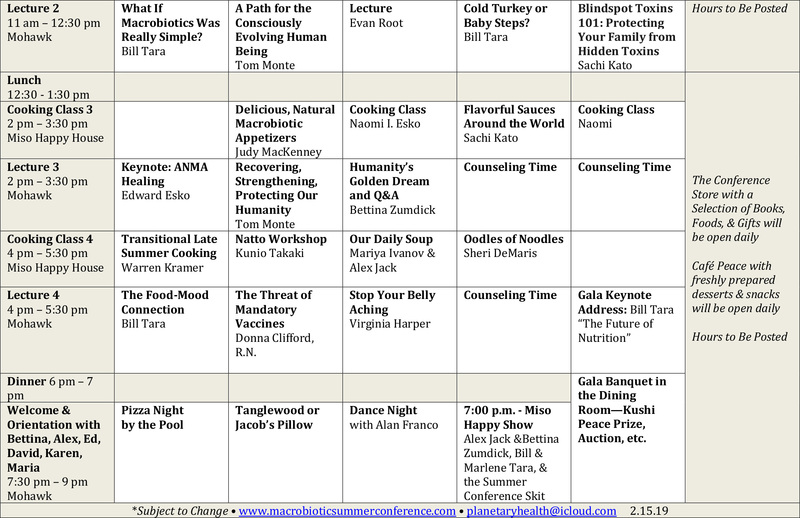 The week-long event will feature over 25 leading macrobiotic teachers, counselors, and chefs, including Cathy Albanese, Sheri Demaris, Christian Elwell, Edward Esko, Naomi Ichikawa Esko, Masumi Goldman, Virginia Harper, Alex Jack, Sachi Kato, Warren Kramer, Judy and Larry MacKenney, Amber Maisano, Tom Monte, Miwaka Ohara, Christina Pirello, Bettina Zumdick, and many others. The conference will include over 50 presentations on Macrobiotic Cooking, Macrobiotic Philosophy, Energy Healing, Visual Diagnosis, 9 Star Ki, Environmental Studies, Shiatsu, Yoga, and Meditation. Private sessions will be available for Macrobiotic Counseling, Shiatsu Massage, 9 Star Ki Readings, and Psychic Readings. Studies will run from morning to evening and culminate with a Gala fundraising dinner for macrobiotic education on Friday, August 3. 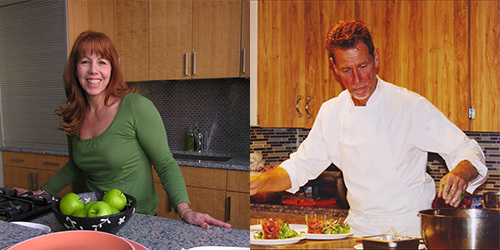 The guests of honor will be Bill Tara, a macrobiotic pioneer, and his wife, celebrity chef Marlene Watson-Tara. Bill served as VP of Erewhon Natural Foods, founder of the Community Health Foundation in the UK, and a co-founder of the Kushi Institute. He and Marlene direct MACROVegan in London. Marlene, author of Macrobiotics for All Seasons, is a long-time vegan and animal lover. At the Conference, Bill will be awarded the 2019 Michio Kushi Peace Prize in honor of his lifetime contribution to health, peace, and sustainability and give the keynote address on “The Future of Nutrition.” He and Marlene will be teaching at the Conference throughout the week are available for personal counseling. For more information, please visit www.macrobioticsummerconference.com. Includes Early bird discount, Tuition, Meals, Gala, and Choice of Accommodations for the number of days you choose or the entire conference. Includes Tuition, Meals for the number of days you choose or the entire conference. QUESTIONS ABOUT REGISTRATION or GROUP DISCOUNTS? 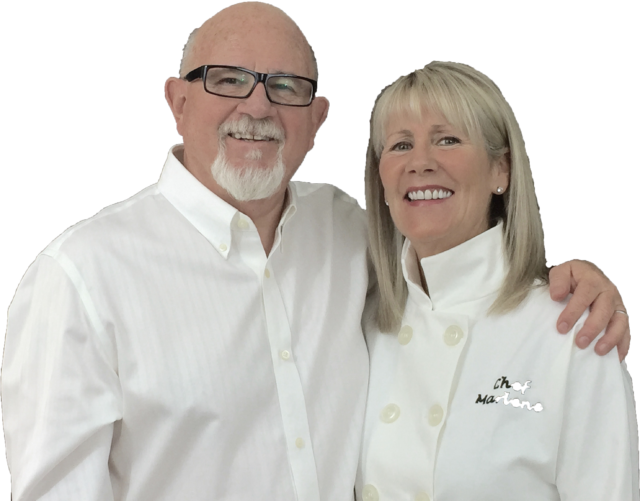 In addition to the dynamic lectures and cooking classes, most presenters will be available for personal health consultations, bodywork, or other private sessions. 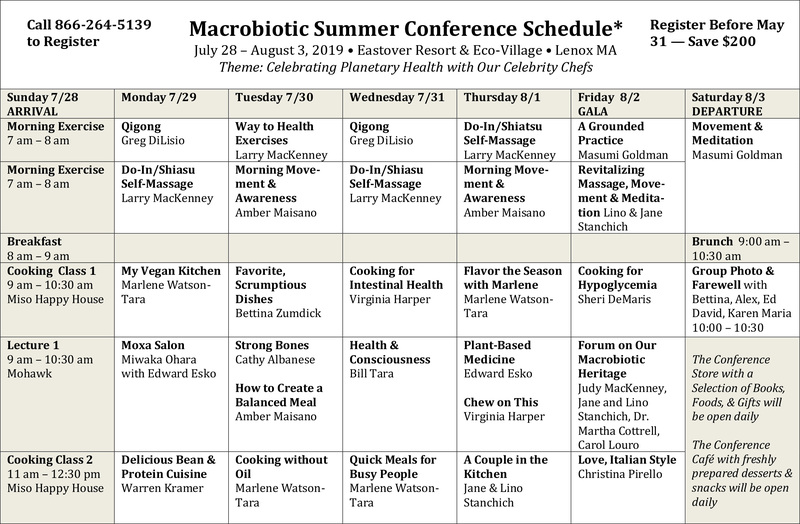 Availability is limited, so please book as soon as possible by calling the Macrobiotic Summer Conference Helpline at 413-212-7445 or email planetaryhealth@icloud.com. Featuring 3 healthful, delicious vegan macrobiotic meals each day. Gluten-free options available. Café with delicious snacks and beverages is open daily. A $50 non-refundable deposit is taken at the time registration occurs. The full balance is due by July 13. Full refund minus the $50 non-refundable deposit fee unless less than 14 days prior to event; then 50% refund.